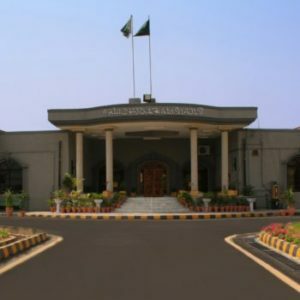 Mr. Justice MianGul Hassan Aurangzeb in his judgment has decided the issue regarding absorption of civil servant deputationist in OMG Group in Writ Petition No. 3954 of 2018. 1. Learned counsel for the petitioners submitted that the petitioners were challenging their repatriation to their parent departments primarily on the ground that they, having served as deputationists for more than three years, had developed a legitimate expectation for their absorption/induction in the O.M.G. pursuant to paragraphs 5 and 9(A) of the Establishment Division’s office memorandum dated 27.01.1975; that the petitioners should be considered for absorption/induction against the 10% quota reserved for deputationists in the O.M.G; that several persons serving on deputation in the Federal Secretariat had been absorbed/inducted in the O.M.G. ; that between 1985 to 2013, 284 officers in BS-17 and BS-18 have been absorbed/inducted in the O.M.G. ; that since the petitioners had served as deputationists for more than three years, it was in the public interest for the Departmental Promotion Committee to consider them for absorption in the O.M.G; and that until the petitioners were considered for absorption/induction in the O.M.G., they had a right to continue serving as deputationists. Learned counsel for the petitioners made submissions in reiteration of their pleadings in the said writ petitions. 2. Learned Assistant Attorney-General submitted that a deputationist has no vested right to continue serving as such for an indefinite period; that a deputationist can be repatriated even prior to the expiry of the period for which he/she was sent on deputation; that there must be exceptional and compelling reasons for a deputation period to be extended beyond the period of five years; that the petitioners never applied for absorption/induction in the O.M.G. ; and that the petitioners’ parent departments have not given their consent for the petitioners’ absorption/induction in the O.M.G. Learned Assistant Attorney-General prayed for the writ petitions to be dismissed. 3. I have heard the contentions of the learned counsel for the petitioners as well as the learned Assistant Attorney-General and have perused the record with their able assistance. 42. All the petitioners who are serving as deputationists in the Federal Government, are desirous to be absorbed/inducted in the O.M.G. Since, through the impugned notification dated 17.10.2018, they have all been repatriated to their respective parent departments, they are challenging the said notification. They took the position that since they are eligible to be absorbed/inducted in the O.M.G. against the 10% quota reserved for deputationists, they cannot be repatriated unless they are considered for absorption/induction in the O.M.G. “i. The absorption/induction being in the public interest. ii. Recommendation of a Departmental Promotion Committee or a Departmental Selection Committee. iii. Approval of the competent authority. 6. On 08.09.2010, the Prime Minister approved the following criteria for appointment by transfer/induction in the O.M.G. This entry was posted in Case Laws, Constitutional Law, Deputation, Deputation Term 3 + 2 years, Establishment Division, Federal Public Service Commission, Islamabad High Court, Knowledge - Constitutional Law, OMG, Public & Admin Law, Solutions - Constitutional Law, Vested Right, Vested Right as Deputationists. Bookmark the permalink.